When last we left off, my family had gotten an adult caterpillar (Gulf Fritillary family), a group of caterpillar eggs (Gulf Fritillary family), and one chrysalis (Monarch family). So we had big problems. There’s no way I was going to let the fully grown caterpillar and these babies die of starvation. That’d be beyond cruel and this was all my fault. Thing is, these guys were shipped from Florida, and we live in Pennsylvania. Was I going to be able to even buy a Passion Flower around here? I was delaying calling the local nurseries. I knew the answer would be “What? Never heard of it.” I emailed the butterfly farm and asked them if there was an alternative food for them. 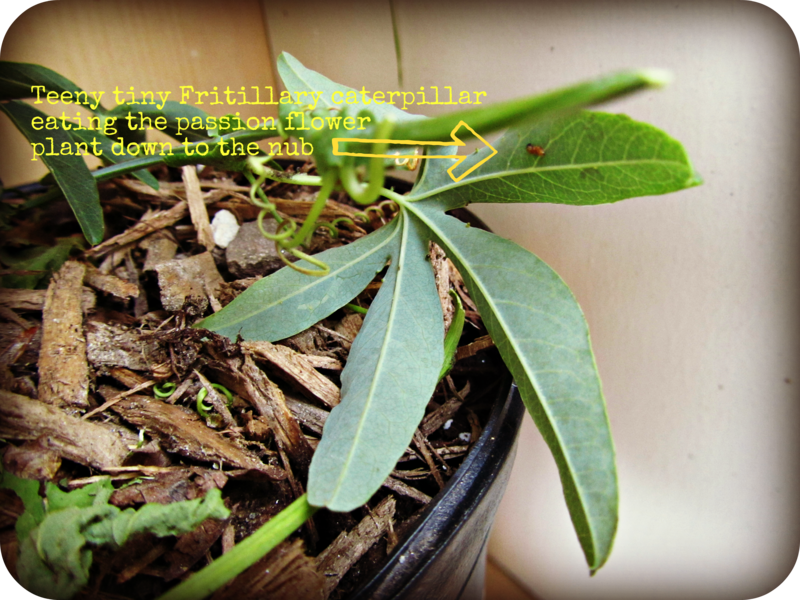 I started Googling alternative Fritillary caterpillar foods. My wife kept insisting I call the nursery, but I was such a smarty-pants I was sure they wouldn’t have one. Finally I gave up and called. 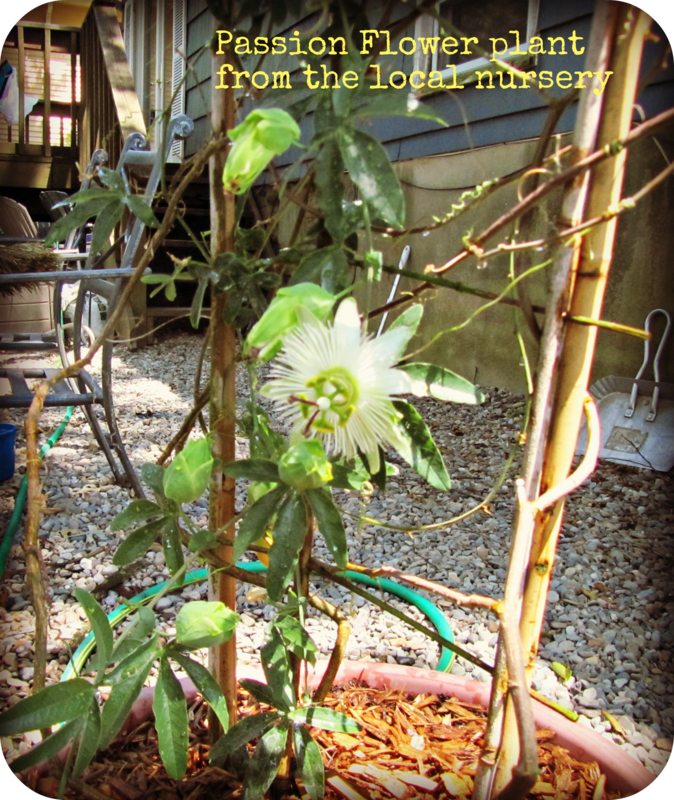 Both nurseries near our house had Passion Flower vines. Come and get one. I asked them to PLEASE hold it for us – we have starving caterpillars at home!